The North Carolina Symphony’s Music Discovery program, a part of PNC’s Grow Up Great initiative, combines music and storytelling for our youngest audiences. 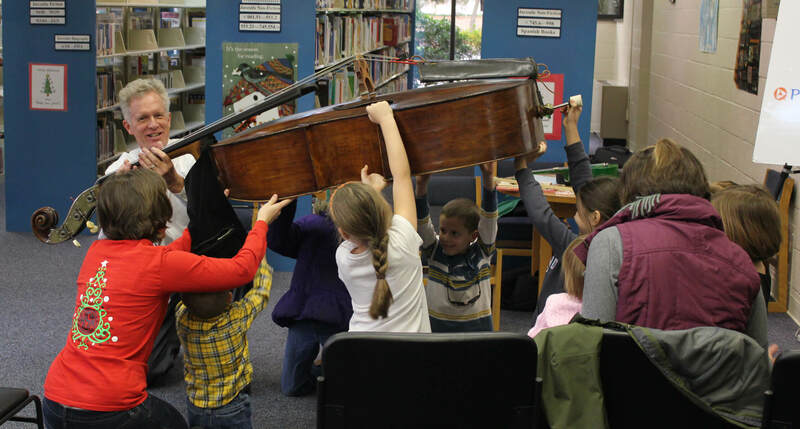 NCS musicians travel to libraries, museums, community centers, and Head Start classrooms across the state to share favorite storybooks and introduce children to their instruments. Music Discovery launched in 2013 and since then, has grown more than 50% in the number of programs offered annually. We now present more than 30 events each year, including many in rural and under-served areas of the state. Striving to make music education accessible to all, events held in counties with high Spanish-speaking populations often include Spanish translation. Bring the kids to meet our musicians and learn about their instruments at our Music Discovery events! Upcoming events will be listed on this page throughout the year as they are scheduled.